The ASA will investigate SEO practices from eConsultancy reports that the Advertising Standards Authority (AMA) in the UK will require web sites to disclose if they are placing paid links on their web site. In addition, Google is backing this. What Google wants and what the AMA wants are slightly different things. Google wants the links to be nofollowed, which technically won't reveal to a normal web user if a link is paid or not. 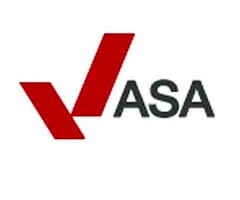 ASA wants the link to be disclosed to the normal web user, so they know it is a paid link. Google requires the use of code, typically the 'nofollow' but alternatives such as a redirect through a robots.txt blocked script, but thats not what the ASA and the CAP are interested in. The ASA wants to ensure that paid for links, and other promotions, are disclosed in such a way that the average consumer can see the relationship between blogger and advertiser. It's therefore possible for links to be safe by Google standards but still in breach of the ASA. Equally, it's possible for links to be safe by the ASA standard but in breach of Google's guidelines. You can imagine black hat SEO agencies are not likely to buy links from sites and ask the website owner to then publicly disclose that those links were bought. This seems like pretty significant news if it pans out. Personally, I am all for disclosing to end users if the links are paid. Really.